You are not alone in asking that question. In a world where everything that is done has to have a “purpose” monasticism seems, on the surface, to be quite useless. Every time I hear this particular question I am tempted to answer with another question: what role does the laity have in the Church? Or, since only about five percent of men in the Church are clergy, what role to the other ninety-five percent fill? We do not come into the Church, the Body of Christ, in order to have a specific “role”. We are all a part of that Body for the sake of our salvation. A small percentage are called to serve in the deaconate, the priesthood, and the episcopacy, where a definite “role” is fulfilled through their cooperation with the grace of the Holy Spirit who “completes what is lacking”. It is the Lord Himself who calls these men to serve as clergy. So what about monastics? What “good” does monasticism do when these people go off into a monastery instead of using whatever talents they might have in a parish, on a diocesan level, as missionaries, or doing other philanthropic work through the Church to help people. Instead, they just stay in their monasteries, sometimes going out to speak at a conference here or there, but then they go back to their monasteries. An apparent waste of talents and efforts. Even those seeking to become spiritual elders or leaders have to change their scope. Everything in the monastic life is directed at a hum­ble life. There is nothing wrong with being an elder or offering useful spiritual counsel, but that is something that comes (if at all) after many years and only to those who are truly humble and repentant. Most of our readers have seen the wonderful movie “Ostrov” / “The Island”. Those who have not seen it, should. Think of the contrast be­tween Fr. Anatoly and Fr. Job. Fr. Anatoly was humble and in a constant state of repentance, and the Lord granted him the grace of healing and guiding others; Fr. Job, by his own admission, wanted to be the one to whom pilgrims would come and seek counsel and healing, but that was not given to him for it would have made him proud. The monastic life is one seeking salvation in a more intense man­ner than those living in the world. In many ways, the Orthodox Chris­tians in the world are much stronger than those of us in the monastic life. In the world, you must balance a “worldly” life of raising a family, job, school, etc, with life in the Church. In our present day, in a non Or­thodox culture, that consists of having one foot in the world, and one foot in the Church — a delicate balancing act! In the monastery, there is no need for maintaining such a balance — everything is the Church and life directed only toward Christ. It is much simpler in that aspect. There is no question regarding fasting or observing feast days. There is one calendar and measure of time and that is the Church calendar — not civil holidays or school schedules, etc. So then, back to the question: what purpose does monasticism have in the Church.? In its life of work and prayer, every monastery has to support itself financially. Contrary to what some may think, the diocese or central Church administration does not financially supports the monasteries. Each monastic establishment strives to have their financial support come from within its specific confines and through the labors of the monks/nuns. Yes, donations from individuals, parishes, and Church organiza­tions form a large portion of the necessary financial running of the mon­asteries, but the monastics still labor to maintain the physical structures and properties, as well as doing things that produce an income. 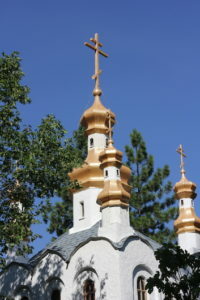 Projects vary from one monastery to another, but often include painting icons, sewing vestments, running an Orthodox bookstore on the premises of the monastery, hosting retreats and visitors, and sometimes going out to speak at a conference or retreat, writing and publishing books, baking prosphora for parishes, etc. We hope that some of these efforts are useful to the faithful, and we are likewise very grateful for the income generated which allow us to be where we are. Originally, the early monastics simply went off into the desert where some remained unseen for the rest of their lives. Yet even in such a remote and hostile environment, in their “aloneness” they prayed, not only for their own souls but for the entire world. It would often happen that when someone from “the world” would come into the desert to speak with one of these early ascetics, the first questions the ascetic would ask was “how/who is the emperor?” “What is the state of the Church?” “Is there peace or persecution?” In other words, these lone monks were not only concerned about the state of the Christians and those in the world, but were intensely praying for them! That, if there is one, would be the main “purpose” of monastics — to pray for the salvation of their own souls, for the forgiveness of their own sins, and for the souls and forgiveness of everyone! Every monastery, even one as small and remote as ours here in Lake George, has thousands of names of people to be commemorated daily in the monastery church. Phone calls, letters, e-mails (for those monasteries that have internet), and personal requests for prayers and candles to be lit are a normal and regular occurrence at monasteries. Just as those early Christians trudged out into the desert to seek counsel from the monastics living there, or to spend time peacefully in the organized monasteries that formed, so in our own day people make pilgrimages to monasteries on a regular basis. Some come simply to see, others to help with physical labor, but the majority come seeking a quiet place in which they truly “lay aside all earthly cares” and be in the presence of God, beseeching the Lord to work in their lives. Sometimes this involves speaking with one of the monastics or elders, but often answers to dilemmas and problems come to these people who quietly await and discern the Lord’s will. Traditionally, our bishops were chosen from among the monastic ranks. In North America, this pool is quite limited, but in other Orthodox countries, this is still quite the practice. 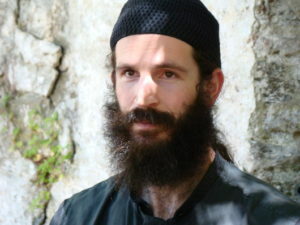 Again, however, no man goes into the monastery with the intention of becoming a bishop; in fact when a monk/hieromonk is called from the monastery to serve in this high calling, it is almost always the case that he answers that call in great sadness. There is great debate today, as throughout history, as to how visible and how vocal monastics should be in the life of the Church. 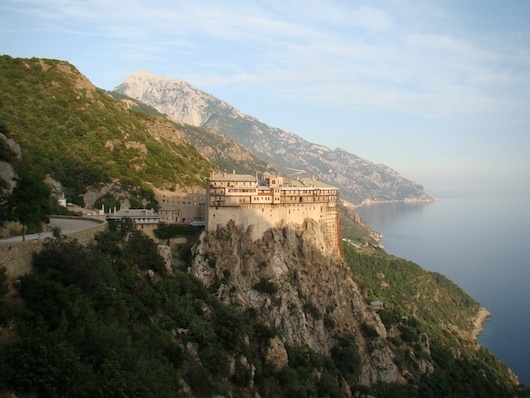 The monastics are apart of the Church and in most jurisdictions the superiors are considered as delegates at official Church meetings —, decisions made at these meetings of the entire body of Christ affect them as much as they affect the parishes and Church organizations. Generally, those abbots/abbesses who attend such meetings are silent unless there is a true need for them to speak. This, too, has historical roots. Saint Anthony himself left his be­loved desert to go into Alexandria and speak out against the Arian her­esy. St. Theodore the Studite was one of the foremost defenders of the holy icons during the iconoclastic controversy, for which he was impris­oned and tortured, but never capitulated to heresy. Even today, it is the monastics who speak out when even prominent “theologians” teach something that is contrary to the Faith. Finally, we must mention the fact that we have a strong Church in North America today thanks largely to the efforts of the nine obedient monks who set out on the longest, and possibly the most dangerous, mission the Church ever undertook. St. Herman, St. Juvenaly, and their other seven companions left Valaam Monastery, under obedience and certainly not seeking fame or honor, to travel the entire breadth of Rus­sia and cross the Bering Sea to come to Alaska. When Saint Herman found himself the only surviving one of those missionaries, he did not turn back, but continued his life of work and prayer in remote, and often inaccessible, Spruce Island. We can ask, “what good was he doing there? What role did he play in the life of the Church?” He was not a priest, so he could not serve Divine Liturgy or any of the sacraments; he rarely left his little enclave on Spruce Island; he did not write instructive books (that we know of). He looked after the orphans of Spruce Island, but even that he eventu­ally entrusted to another. He did not build a magnificent church or mon­astery. He did not have monastic disciples or a community of monks on Spruce Island when he died. What was he doing there for so many years? 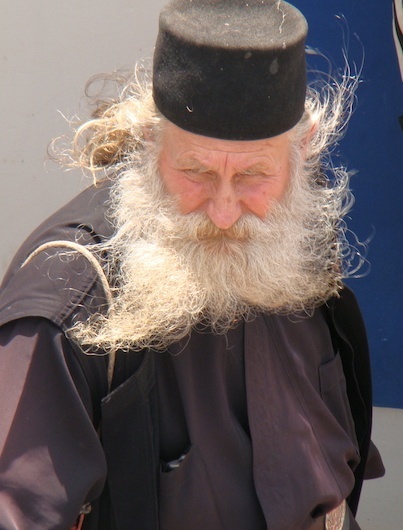 He was simply living the monastic life of work and prayer. None of us today would say that it was a wasted life. That is the legacy we have inherited. In our very organized way of life in North America, it is interest­ing to note that monasticism arose, not from a committee decision, nor from any kind of a council that thought something like monastic life would be useful to the Church. No, it was a grass roots movement in obedience to Christ who told the rich young man who asked how to be saved, if you will, sell all that you have…and come, follow Me. This article was originally published in “The Veil” (Volume 19, Number 2, Dormition Fast 2012), a publication of Protection of the Holy Virgin Orthodox Monastery.